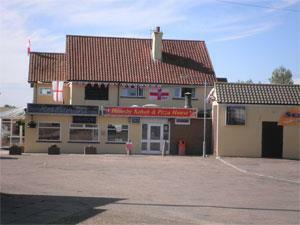 Seadell Bar in the centre of Hemsby near Great Yarmouth, a family friendly pub with a good range of beverages and bar food available. Free wifi and regular live entertainment. Take the A149 out of Great Yarmouth signposted for Caister-on-Sea and follow the signs through to Hemsby. Seadell Bar is located just off Beach Road behind Sands Amusements. Take a right turn at the mini roundabout on arrival in Hemsby.